"Z74CO52514D started life at Cheshunt in March 1963. It was the 45th Lotus Cortina built and is now the 3rd oldest surviving car and the oldest car in use (the other two are museum pieces). Shortly after it was built in 1963, Colin Chapman gave the car to Roy Pierpoint, who affixed his private registration number 1DYC to the car. 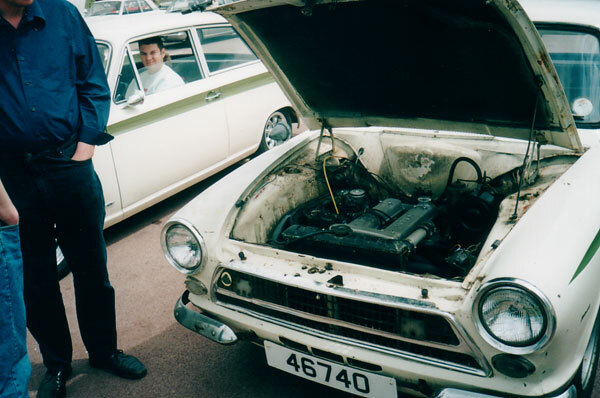 Roy was a well known saloon car driver in his day, in Cortinas, Falcons and Mustangs, and won the British Touring Car Championship in 1965 behind the wheel of a Mustang." "In 1964 the car was sold on and changed registration to 4430PF. The car then changed hands several more times until ending up in the Channel Islands where it remained until 2002. There is some tell tale signs that the car was raced, but I have no documented evidence as yet (anyone reading this who has photos or information... please let me know. That would be great!) "
"The car was purchased by Trevor Barefoot in 2002, and driven to the Lotus Cortina National Day at Gaydon, where it picked up "Most Original Lotus Cortina". 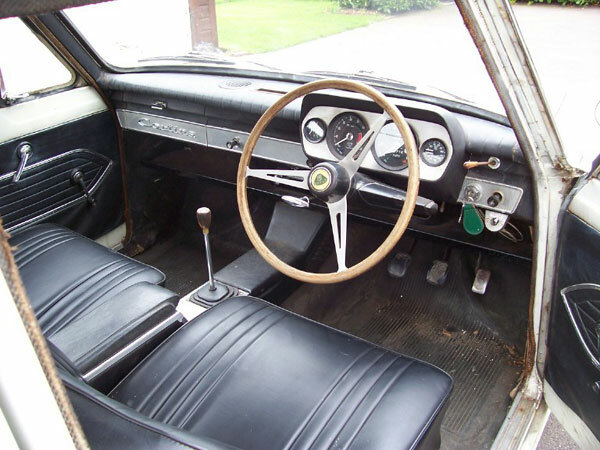 This is because the car still features all of its original components as it came from the Lotus factory in 1963, which includes the motor LP052, gearbox alloy castings and exterior panels, A-frame plus all original interior and badging etc. etc... Following that, the car was shipped to Exeter, where it was stored untouched for the next 2 years." 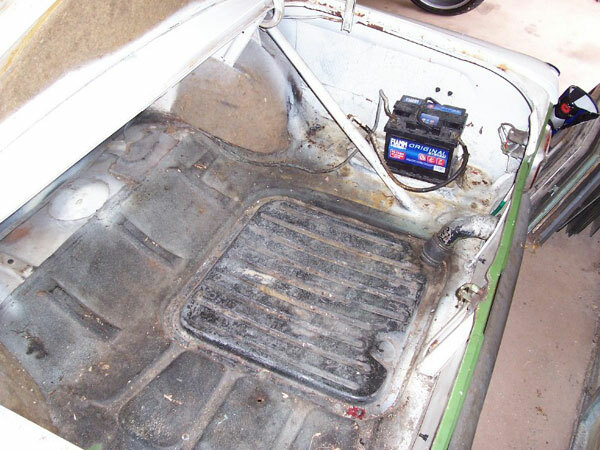 "I purchased the car in September of 2004 to restore. As you can see it definitely needs that. 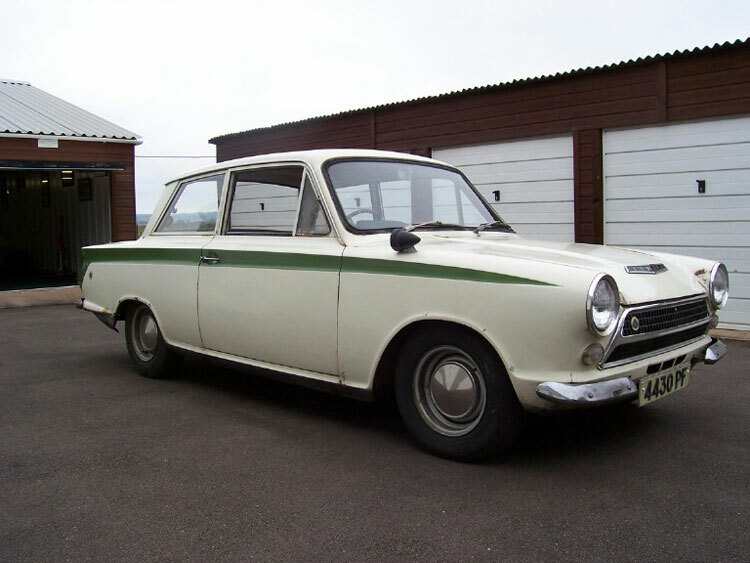 This is my third and final Lotus Cortina and will be the subject of a complete nut and bolt restoration to original condition over the next few years. The car needs extensive panel welding but not a reshell (I would not even dream of something like that) as well as a mechanical overhaul." "Watch this space for more shots of the car and of the restoration."